Rita McNaughton -- also known as Momji -- is a devotee of Krsna and a faithful follower of Srila Prabhupada. She also happens to be my mother. She has been very ill with heart failure and therefore I've decided to write a few words in honor of a great soul. 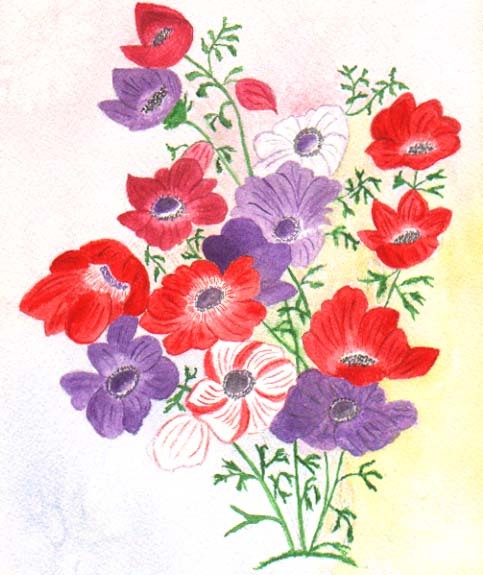 Momji was born in 1922 in rural Manitoba, Canada on a homesteader farm. She came from a large family of eight brothers and sisters. They had no electricity, running water or telephone. It wasn't an easy life, but she grew up strong and healthy with firm faith in God. Always very pious, Momji worked hard to get ahead by studying to be a secretary, and eventually she joined the army. Afterwards she met her husband and raised a family, but not without great struggle and sacrifice. She scrubbed floors for wealthy families and scrimped and saved so that her two boys could have food on the table and never go hungry. Momji was always there for her family, no matter what. 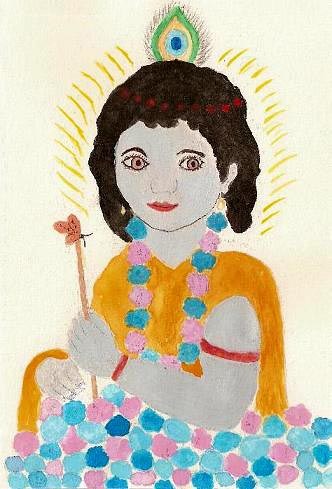 Later, when I started to show interest in the Hare Krsna movement while still in high school at the age of 16, she fully supported my decision. I made an altar in my room and ordered Srila Prabhupada's books and chanting beads from Los Angeles. When I joined the movement a couple of years later, Momji was very happy for me. She also began her devotional service while visiting the local ISKCON temple in Winnipeg. 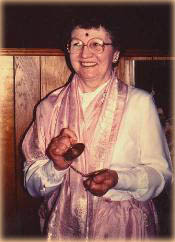 She became a strict vegetarian, subscribed to Prabhupada's Back to Godhead magazine (and later the ISKCON World Review), began knitting mitts, scarves, hats and baby clothes for the devotees in the Vancouver and Montreal temples, baked and offered cookies for the devotees (and various GBC members), and even sent me boxes of prasadam to distribute in Cairo and elsewhere. (Funny enough, the boxes would often arrive opened with the contents missing, except for a few crumbs -- the Egyptian mailmen being the likely culprits and recipients of Krsna's mercy). "Prabhupada was a remarkable and intelligent man who accomplished so very much in such a short amount of time. It is astounding that he came to America with nothing and yet built an empire of so many temples, wrote so many volumes of books and did so much for his followers. 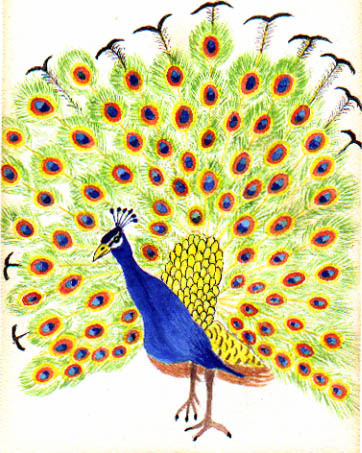 In particular, I like his philosophy and predictions of the future which amazingly are all coming true." We humbly request our dear readers and friends to say a small prayer for Momji. She loves the devotees, and the devotees who meet her all love her too. Personally, I'm not a devotee; but I hope that by serving and following in the footsteps of great souls like Momji, I may have a chance to perform devotional service in one distant lifetime or another. I'm forever thankful to Srila Prabhupada whose mercy extends far and wide -- even to remote places like Winnipeg, Manitoba, where I received the opportunity to associate with a great sage masquerading as my mother.